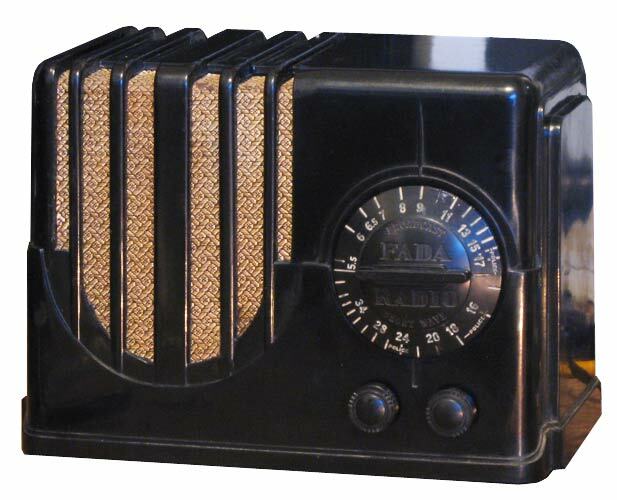 The black bakelite Fada 350B is one of the "Coloradio" 350 series offered by Fada in four different cabinet colors for the 1938 year that also includes the 350W (Walnut Bakelite), 350V (Ivory Plaskon), and 350R (Chinese Red). The cabinet is clearly based on the successful Silvertone 4500 series that were first released a couple years prior. The Fada 350 is rare and fairly hard to come across. This example was the only one I have ever seen appear for sale in the past 10 years of collecting and it unfortunately had a broken and missing grille bar at the front of the cabinet. After purchasing the radio, the first thing I did was take out the chassis that slides out from the bottom of the cabinet before proceeding to repair the cabinet. To repair the missing grille bar, I broke off an identical piece from the rear, moved it to the front, and secured it in place with epoxy. To replace the rear grille bar, a 1/4 inch plexiglass sheet was cut in a thin strip, bent with a heat gun, and sanded into shape resembling the original bar. 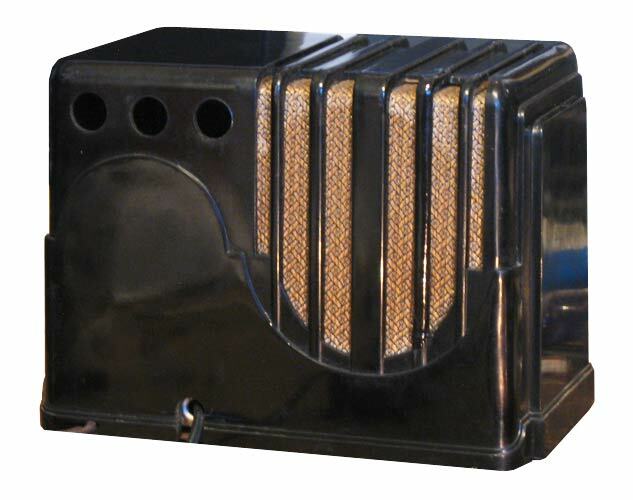 After securing the newly fabricated grille bar on the back, it was painted with black oil paint. This was one of the few examples where a damaged cabinet could be reasonably restored back to near original condition without major changes like painting the entire cabinet. 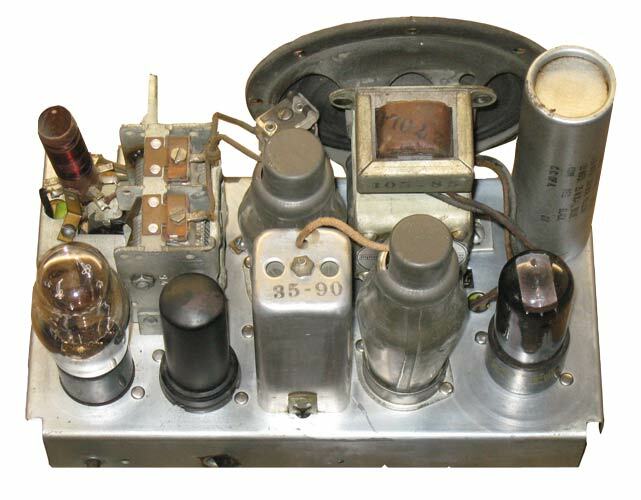 The 4-tube superheterodyne chassis of this example was also a rare sight. The chassis held what appeared to be all the original Tung-Sol tubes although one tube got shattered when it arrived to me. 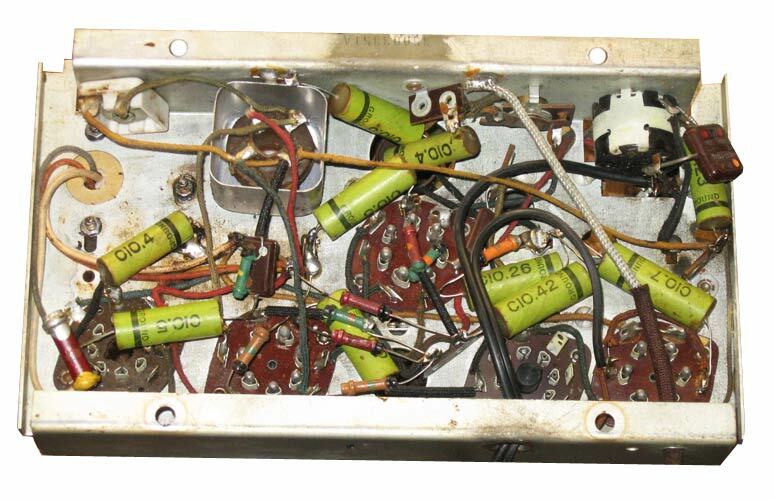 All the original capacitors were still in place. I doubt this radio has seen much use in its life and was never serviced since it was first unpacked. I restuffed all the paper and filter capacitors with modern equivalents to maintain authenticity and preserve as much of the historical components of this radio.